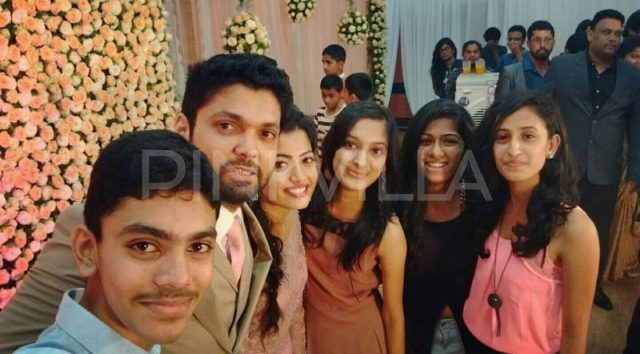 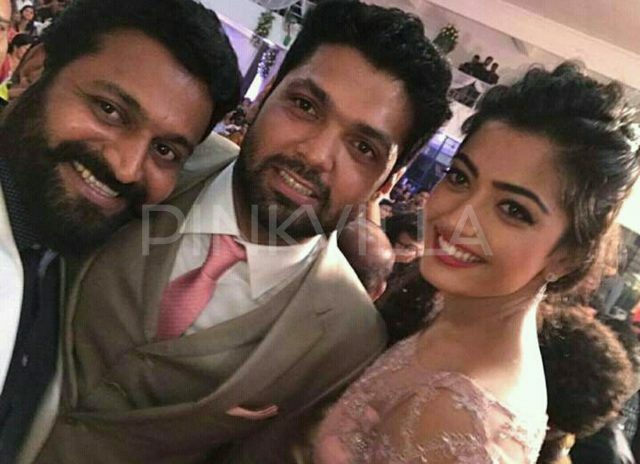 Kirik Party actors Rakshit Shetty and Rashmika Mandanna got engaged today. 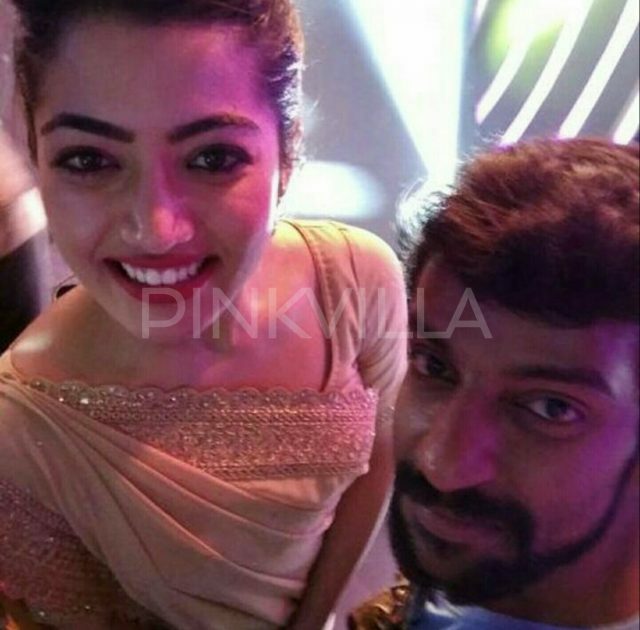 It is a festive season in Sandalwood today as the very popular Kirik Party actors Rakshit Shetty and Rashmika Mandanna got engaged today. 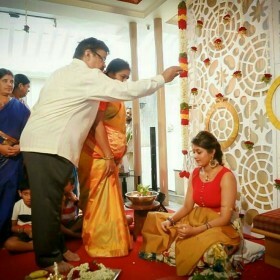 The grand ceremony was held at Virajpet in Madikeri at 6:30pm. 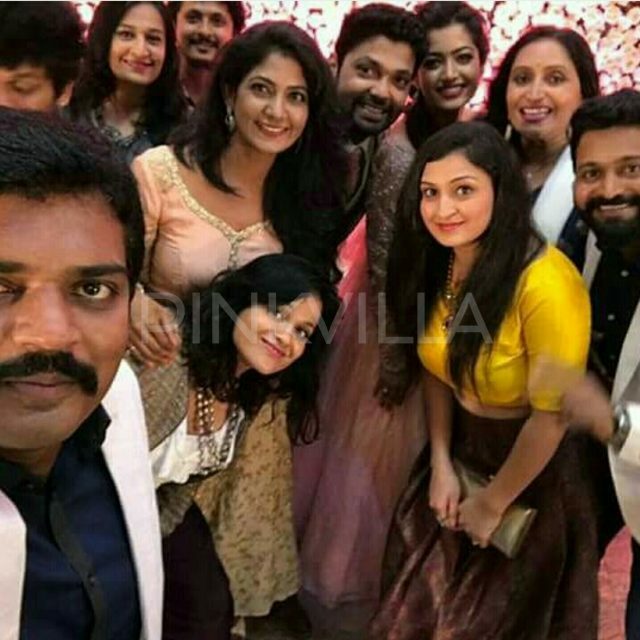 It was a grand event with the who’s who of Sandalwood making it to the engagement bash. 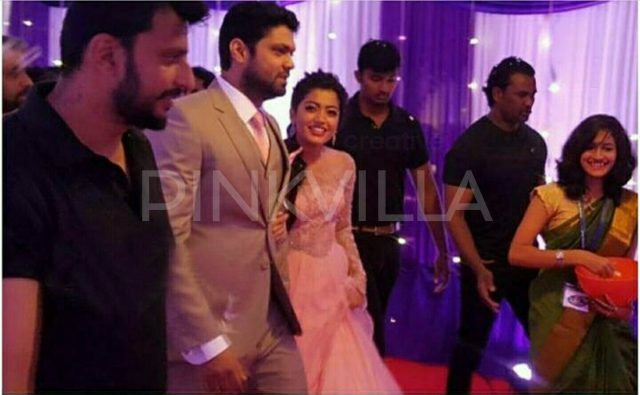 The celeb list was a huge number and totaled to more than 2,500 guests. 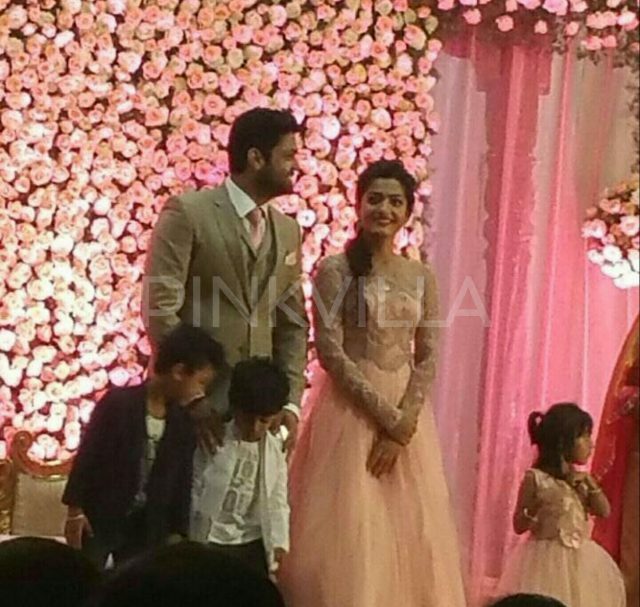 Well, it seems like the media played cupid to this cute couple this time. 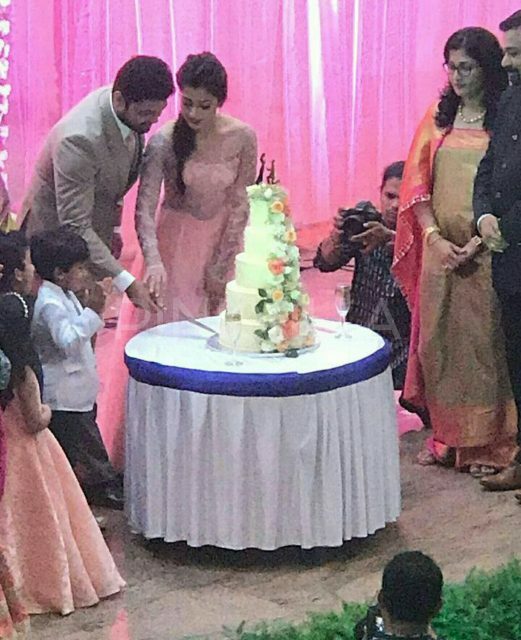 Isn’t that interesting? 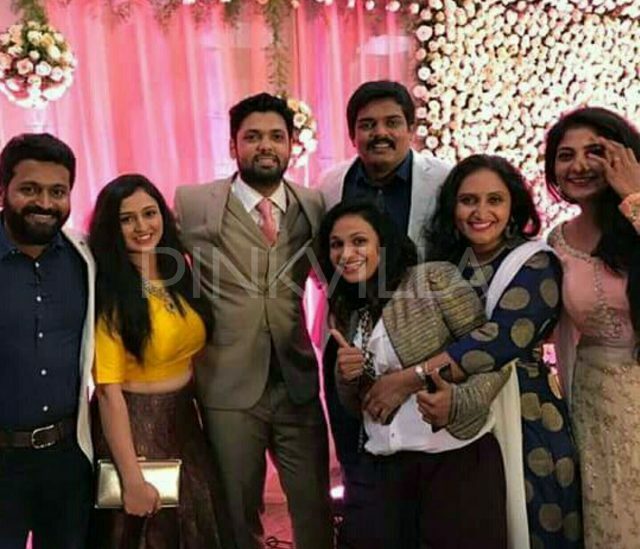 Kirik Party is a 2016 Kannada campus film directed by Rishab Shetty, and produced by G. S. Guptha and Rakshit Shetty. 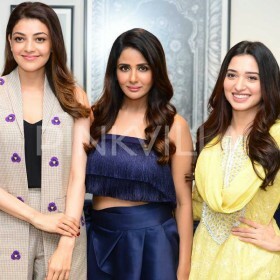 It featured Rakshit Shetty, Rashmika Mandanna, Samyuktha Hegde, Aravinnd Iyer, Dhananjay Ranjan and Pramod Shetty in prominent roles. 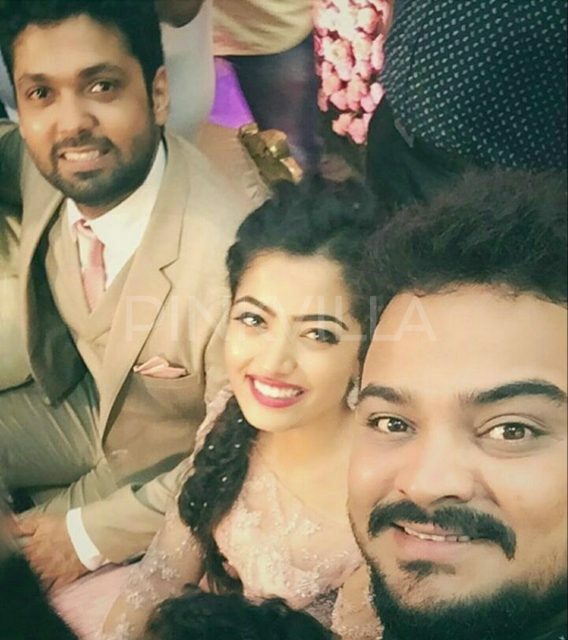 Rakshit himself wrote the story of the film apart from playing a protagonist. 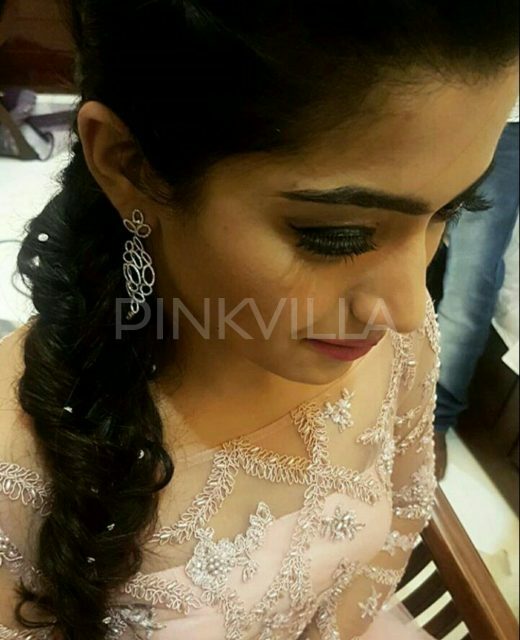 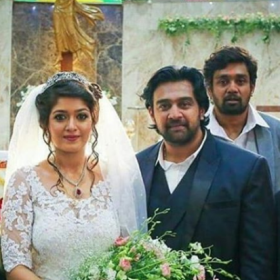 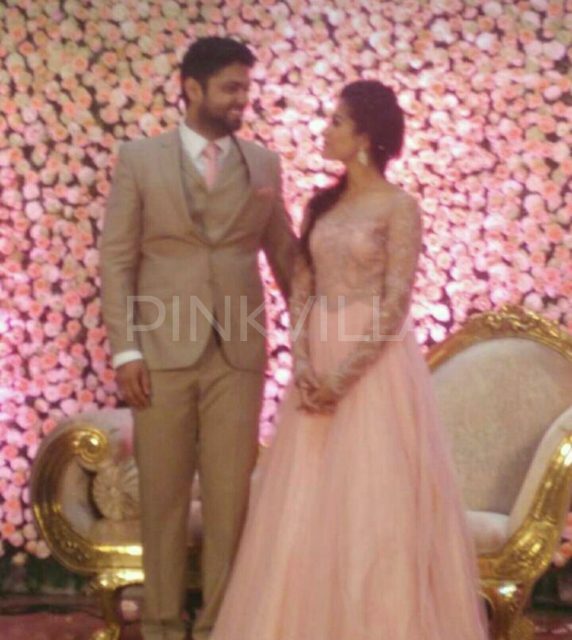 Meghana Raj and Chiranjeevi Sarja’s wedding pictures from their Catholic wedding!